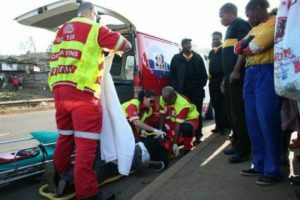 When you are hit by a vehicle as you walk along the road, you might suffer severe injuries and pains. These injuries might take weeks, months or even years to heal. Whether you or your loved ones have suffered any similar fate, it is important that you seek the help of a pedestrian lawyer to help you get the right recompense for your pains and the driver’s negligence. There are cases where the pedestrian may be at fault, however, if you want to fight for your right, let a lawyer from Rawa Law Group help you. Rawa Law Group is a stellar legal agency that has taken the mantle of legal advocacy for injured citizens. We are well equipped with capable pedestrian lawyers who will help you achieve justice and due compensation for your woes. Once you or your loved one is injured by a car, you can call us for a free consultation and we will swing into action. After evaluating your case, we will file complaints in court according to the law and protect your rights. We work with our clients and location isn’t a barrier. Besides flexible appointment hours, make our attorneys available to make a home or hospital visits when necessary. When it concerns injury, a victim is supposed to be able to have a one-on-one conversation with whoever is giving him/her legal representation. We give clients the undivided attention as well as useful legal counsel to help through the process of maximizing their accident claims. To hire a capable pedestrian attorney Azusa, CA, reach Rawa Law Group via the below address.